The brief for this project was interesting. The branding agency’s research showed that people liked the tangible elements of shopping for groceries. It was the logistical problems they didn’t care for… getting to the store, loading the kids into a cart, carrying bags, loading up the car with the bags (and the kids) and unloading it again once they got home. And those are the people with cars. Those stuck using taxis or public transit – or those unable to get out at all – faced even greater challenges. 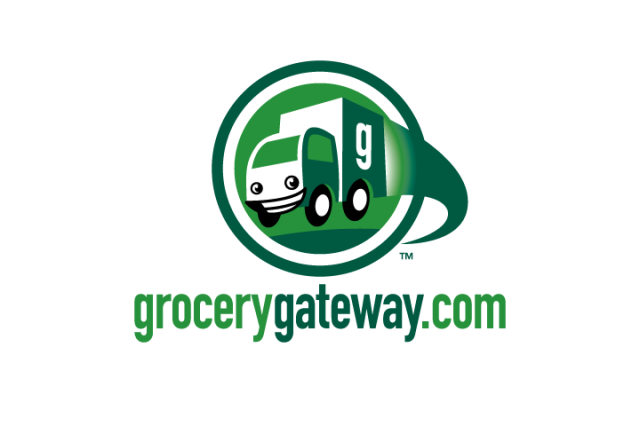 Grocery Gateway’s revised positioning was to be more like a traditional grocer that just happens to be Internet-enabled. Every effort was made to have drivers work the same delivery routes, so you see the same face every time, helping establish that personal relationship between consumer and the grocer at the most critical touchpoint. The only difference being the consumer no longer has to physically travel to the store, and can now shop at home (or at work), at their leisure, any time of the day or night. Naked. The refreshed visual identity features a cheerful delivery van (nicknamed “Little G” by the folks at Grocery Gateway) bouncing over the horizon. The bright colour palette and expressive illustration were designed to express that moment of joy when the groceries are delivered. Now twenty years later, “Little G” has grown up a bit, but still feels fresh and fun.